Special Offer: Order 2 items of this product for a total of just £10.00. 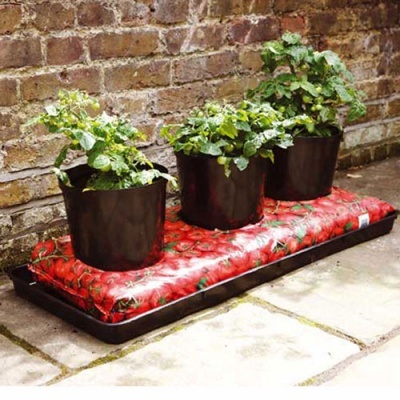 Stewart Garden Essentials Growbag Tray - Black provides an excellent value garden grow tray designed to fit a 100cm compost growbag perfectly. Manufactured from recycled plastic materials for ethical minded gardeners, and made in the UK, reducing carbon footprint. 100cm Essentials Growbag Tray helps take care of your veg growing requirements, for shallow rooted veg such as tomatoes, cucumbers or courgettes. The ideal size for a tomato growbag, and ideal solution for stopping floor laid growbags staining your patio slabs. 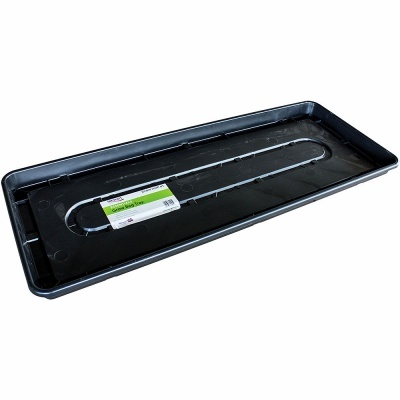 Growbag trays are ideal for placing in greenhouses to keep growbags away from floor frost.